From beer gardens to abandoned airports and amusement parks, Tripbod Jeroen reveals 10 of the greatest alternative points to see and do in Berlin. A good place to understand more about the Berlin Wall as well as the division of Germany will be the official Berlin Wall Memorial on Bernauer Strasse, north from the centre. The border ran right over the façades in the houses here, and right after the inhabitants were evacuated as well as the lower floors were bricked up, people still were able to flee the GDR by jumping right out of the top floors. The information centre shows films of the construction of the wall, and there's a view tower overlooking a quick stretch of wall that has been restored for the original, brutal look. Walk around the back for a peek in the 'death strip' with the gaps inside the rear wall. Open 9: 30am-7pm, Nov-Mar 9: 30am-6pm. Closed Mon (outdoor exhibition open 24hrs). The Berlin Philharmonic Orchestra is without doubt one of the better on the planet. Directed by Englishman Sir Simon Rattle, it performs regularly in Berlin, and tours the world extensively also. The orchestra's home is the striking yellow tent-shaped Philharmonie near Potsdamer Platz. Its interior with seating terraces all around the stage was revolutionary in the event it opened fifty years ago. Don't miss the free Tuesday lunchtime concerts by upcoming and renowned musicians; arrive 30-45 minutes early and carry something soft to stay on, because the audience sits around the lobby floor! There are several places to get great panoramic views across town, although berlin may be a relatively flat city with only a handful of high-rise buildings. The Panoramapunkt near the top of the brick Kollhoff tower on Potsdamer Platz is my favourite city centre viewpoint. Europe's fastest elevator it zips you 100 metres up for views of Berlin's new and old centre, plus it features a café and exhibition. Just south in the centre, the monument on top of the Kreuzberg hill in Viktoriapark is Berlin's highest natural point; buy some beers at a Spaeti shop and walk up along the romantic waterfall at sunset. Within the Neukoelln district, the brand new Klunkerkranich 'cultural rooftop garden' on top of a mall parking garage features a bar, DJs, live music and parties with fabulous views over Berlin. Open Fri 16: 00-24: 00, Sat/Sun 14: 00-24: 00. There are dozens of tours around Berlin’s tourist sights, but I really enjoy joining small tours around the outlying districts. The history the following is no less interesting, and you'll get insights into normal day to day life in the city. Slow Travel Berlin, a web site authored by Berlin-lovers, organises district walking tours that really spend some time for in-depth exploration of Prenzlauer Berg, western Kreuzberg or Wedding. Finding Berlin is an additional website by Berlin enthusiasts that spawned tours; join their 'Little Istanbul' walk which includes chats with Turkish shop and bakers owners in Neukoelln, or the 'Life & Styles' tour, exploring eastern Kreuzberg using vintage fixed-gear bicycles. Only two of Berlin's 13 market halls survive, and also the beautiful 'number 9' hall in Kreuzberg, dating back to 1891, was recently revived using a lively weekly farmers' market; I live nearby and it's an excellent location for fresh regional food. But there's more: the Kantine restaurant serves excellent organic lunches each day, there's a well known street food market every Thursday evening and there tend to be special markets on Sundays, dedicated to local crafts or sweets. The new Heidenpeters microbrewery sells its ales on market days if that isn't enough reason to drop by. The famous Weltrestaurant Markthalle is a lovely place for a schnitzel, or a beer on the terrace, by the Puecklerstrasse exit. Weekly market Fri/Sat 10: 00-18: 00, Streetfood Thursday 18: 00-22: 00. Generations of Berliners have danced the nights away at Clärchens since it opened in September 1913. Here normal Berliners may have fun and possibly dance with all the male or female of their dreams. The front of the building, now a terrace, was bombed in the war, though the photos at the entrance show that very little has changed over the last 100 years. Nowadays, Clärchens is Berlin's last real dance hall, with great pizza and German dishes, and themed dance nights (tango, foxtrot and salsa etc - free admission) on weekdays. The legendary schwoof parties (€5) take place at weekends, when there's live music, and you're welcomed in the wardrobe by Günter who started working in the mid-1960s. Visiting a former airfield may not sound very exciting, but every time I take visitors onto the runways of the former Tempelhof Airport and there's two kilometres of wide empty runway in front of them, their eyes always begin to sparkle. Tempelhof airport was integrated the 1930s to get the world's most sophisticated airport and among the world's largest buildings. Later, the Americans used it as being a military airport, and it played a vital role in saving West Berlin throughout the 1949 Soviet blockade. The 1200-metre-long terminal building can be used for events and tours, whilst the airfield has become transformed into a park for lying in the sun, kite cycling, jogging and boarding roller-blading, dog-walking and barbecuing. It is best to come by bike to take full advantage of it! Several entrances; S/U-Bahn Tempelhof and U-Bahn Boddinstrasse are easiest. Open sunrise to sunset, admission free. 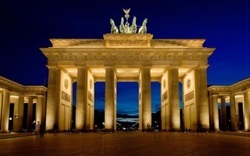 Berlin has a long tradition of brewing too, even though bavaria may have Germany's most famous beer brands. Lately several exciting new brewers have set up shop. Hidden within a Wedding student housing complex, Eschenbraeu is really worth visiting for its home-brewed beers and flammekuchen pies. In the Friedrichshain district, the Hops & Barley bar attracts a young crowd. Closer to the centre, Brauhaus Lemke is a nice brewpub. But my favourite places for any beer are definitely the Prater Garten, the oldest Biergarten in the city, serving its very own Prater Pils and also the relaxing Cafe am Neuen See which serves Bavarian beers and overlooks an attractive boating lake in Tiergarten Park. Photographers, graffiti-artists and the plain curious are all attracted to Berlin's many ruined and abandoned places, and several websites are committed to this 'urban exploration'. Southeast in the city centre within the Treptow district, the previous Spreepark theme park is one of the most spectacular examples; the Ferris wheel and lots of rides are slowly being swallowed through the forest, and will be visited on a tour or just by wandering in. Around the western side of the city, there's the previous CIA listening post on Teufelsberg hill. Further afield, explorers look for the Olympic Village and also the Beelitz Heilstätten hospital and several Nazi or Soviet military areas. Berliners want to celebrate outside throughout the warm summer. Nevertheless the festival season begins every year in the middle of winter with the Berlinale Film Festival in February, which sees thousands of Berliners and foreigners retreat to warm cinema halls to look at the very best new film releases. The outdoor season kicks off on May 1 using the MyFest street festival within the Kreuzberg district. Berlin's main street party is the multicultural Karnaval der Kulturen parade in late May. Tune in to live music at stages around town during Fete de la Musique, on 21 June, while late June sees the large Christopher Street Day gay parade. Finally, the city's main landmarks and buildings are majestically lit up through the Festival of Lights in October.